Leela is a four month old pit bull mix with a penchant for eating, and in this case just about anything goes. "She's a pup right now, so she chews on about anything she can get ahold of," according to Thomas Driscoll, Leela's Owner. "She's eaten a few shoes, she's chewed up a football, some towels. She's chewed up all her toys, she's a good chewer," according to Alex Driscoll, Thomas' sister. But when Leela suddenly stopped eating and chewing, she earned a quick trip to the vet, and when veterinarian Dr. Kathy Blanchard first caught sight of Leela's x-rays, she thought they were a hoax. A little puppy in Redlands literally swallowed a drummer's stick, the kind a musician uses, that was nearly 12 inches long. The pooch is fine now, but her owners are left to wonder, how the heck did she manage to swallow the whole thing? "I thought the techs were playing a prank on me. I thought they'd taken a piece of pipe, we'd had a plumber in the day before, and they'd laid it on the dog and taken the x-rays, and just thrown them up there to see my reaction," said Blanchard. But Leela's condition was no prank. 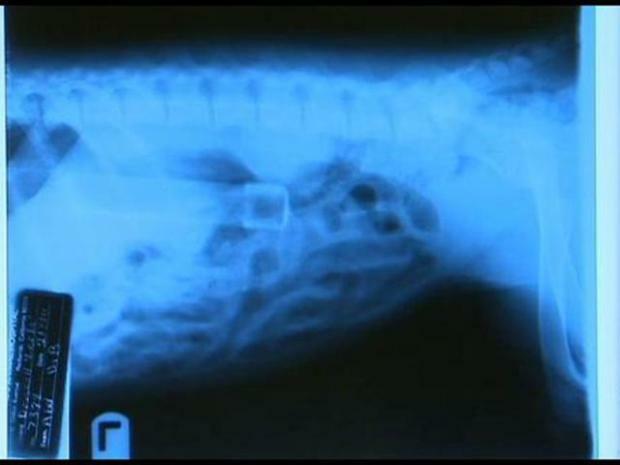 According to the incredible x-rays, it appeared Leela had ingested a piece of PVC pipe with an endcap on it. A second x-ray revealed the object lay dangerously along side the dog's spine just under the dog's heart. Leela wasn't able to spit the object up so the only option was to operate. The object removed from Leela's tummy turned out to be a drumstick nearly 12" long. In the music world it's known as a "hot rod" because of it's skewered-like end. Leela survived the operation but then slipped into cardiac arrest. CPR revived this tougher-than-nails K-9, who is now chewing everything once again. No one can really say just how Leela managed to swallow a drumstick nearly a foot long. 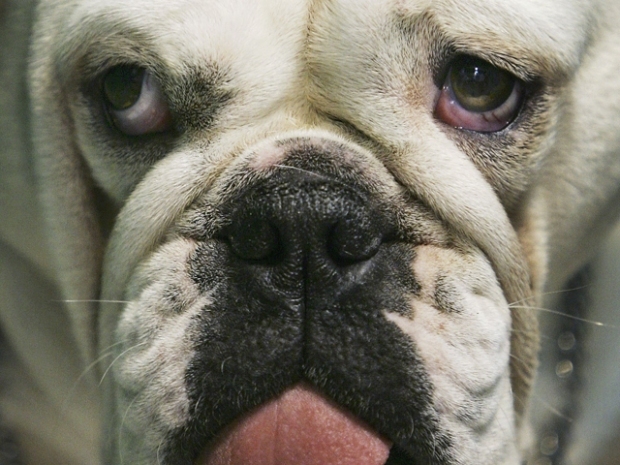 "It's almost the length of her body, so we have no idea how that got inside of her. It's a mystery," according to Alex Driscoll, Thomas' sister.